The chancellor of the for-profit college University of Northern Virginia, raided by Immigration and Customs Enforcement last month, has stepped down from his post. Several news outlets had published reports allegedly linking the former chancellor, David Lee, to sexual fetish websites. The Washington Post first reported that a letter of resignation was posted online by Lee on Friday. "Discussions of my personal life have become a distraction for students and friends of UNVA at a time when we need to focus on much more significant issues," he wrote. Students are reacting today to the raid on the Annandale campus of the University of Northern Virginia.The school is being investigated for how it issued student visas to foreign students. 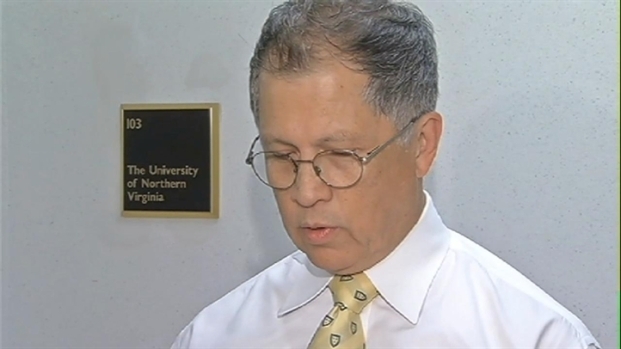 At the end of July, News4 first reported that dozens of ICE agents raided the Annandale campus of the University of Northern Virginia. The agency was investigating the schools practices in helping foreign students obtain visas.